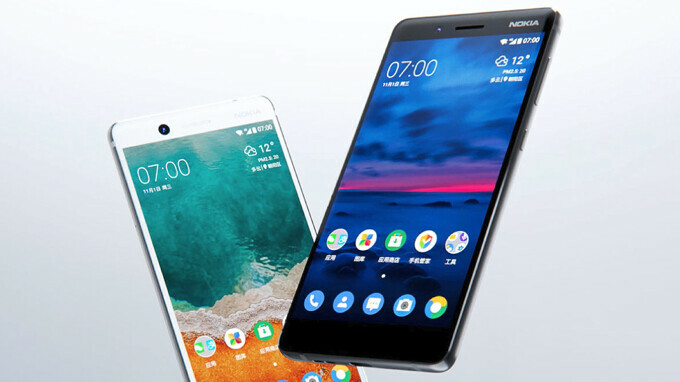 Nokia 7 and Nokia 6 (2018) are both mid-range smartphones that were launched in China just a few months from each other. Although they look like decent devices on paper, they are not yet available outside China. The good news is that's about to change if we are to believe the latest decisions coming from the Finnish company. Apparently, HMD filed two smartphones for certification at FCC (Federal Communications Commission) that goes by model numbers: TA-1045 and TA-1016. We know for sure that these are variations of the same device since HMD confirmed the information in the documents filed at FCC. Also, the company said they these smartphones “do not support any non-US channels in all the operational mode(s),” which means have been specifically modified to work in the United States solely. Apparently, these non-US frequencies have been disabled using “proprietary software,” so HMD Global should be the only entity able to reverse the process. Unfortunately, there's no way to tell whether the phone to be launched in the US is the Nokia 7 or Nokia 6 (2018) because aside from the model numbers, we only know the device is powered by a 3,000 mAh battery. Well, both Nokia smartphones mentioned have 3,000 mAh batteries, so it's hard to tell which one will make its debut in the US. Would be awesome to see both hit the U.S. Hopefully, that’s the case. Looking forward to being able to pick up one these handsets. It will be Nokia 6 (2018). They already said that Nokia 7 will only be sold in China and original Nokia 6 is already on sale in US. So it is only logical it will be Nokia 6 (2018).